Check out Sushma and Joshua’s photos from their stroll in the Boston Public Gardens and Boston Harbor Hotel. 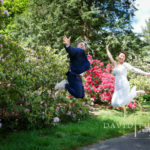 What a super fun couple with a great sense of humor! It was such a pleasure to photograph Michael and Natty’s intimate backyard wedding, as well as our photo-adventure at the Arnold Arboretum. Enjoy the photos! !